The goal of the Theater Department is to introduce students to the art of the theater as a means of individual and collaborative expression. Faculty members seek to inspire greater empathy and broaden each student’s perspective through the exploration of characters and concepts that expand our horizons and challenge our preconceptions. Students who enroll in the elective courses offered are given the opportunity to explore the various aspects of theater in introductory, intermediate, and advanced classes. Whether a student has interest in acting, production work, or design, there are academic offerings to meet their interests. 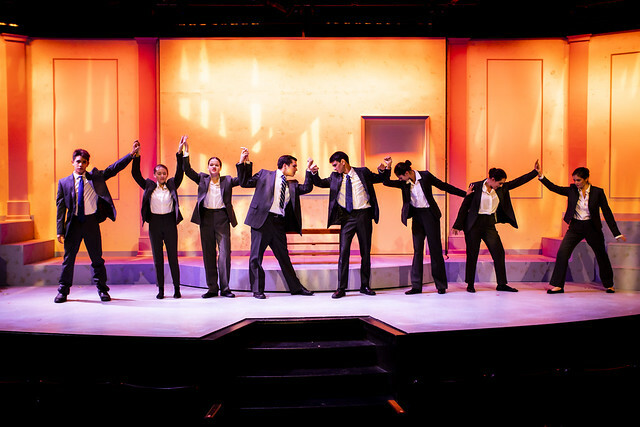 In tandem, or paralleling with the academic coursework, the Theater Department has an extensive co-curricular production program in which students can choose to be involved. Through these extensive offerings, the department seeks to engage with its students, developing in them both an understanding of and appreciation for the collaborative work that exists in theater.